Today we got a little closer to the Scandal x Limited capsule collection as Peoples Style Watch got an exclusive look at more sketches from the the collection. Can you say scandalously-chic! The collection will be available in Limited stores and online September 23rd. Get ready Gladiators!!! Want to dress like Kerry Washington’s character Olivia Pope on “Scandal” but don’t think it’s in the budget? Well think again as The Limited and “Scandal” star, Kerry Washington, along with costume designer Lyn Paolo, collaborate on a capsule collection. 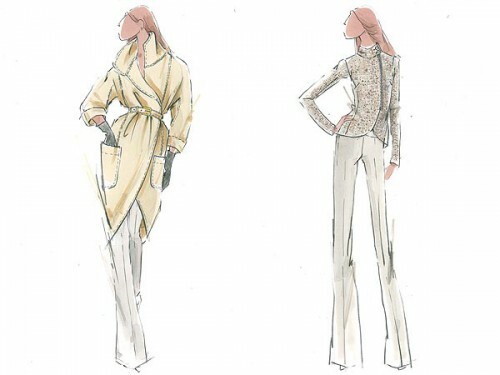 The 42-piece collection, inspired by Washington’s character will include tops, pants, jackets and the amazing topcoats that Olivia Pope is known to adorn.